By default the status history is accessible via the History link at the bottom of the status page. Select the Design/History tab in the dashboard and scroll down to the setting “Display limited history on the status page” and toggle it on. 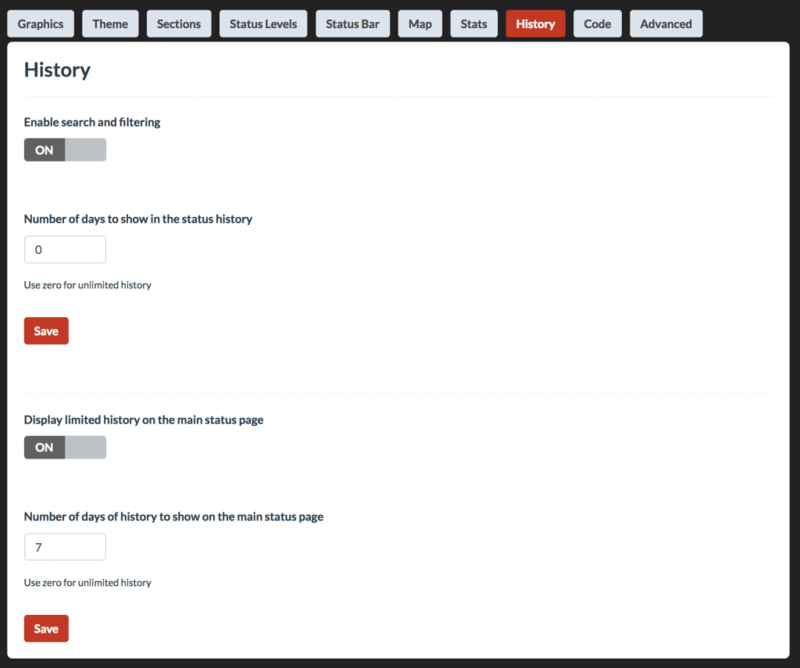 You can also customize how many days of past history to display.